YOU ARE INVITED TO A SPECIAL PATRON’S EVENT! 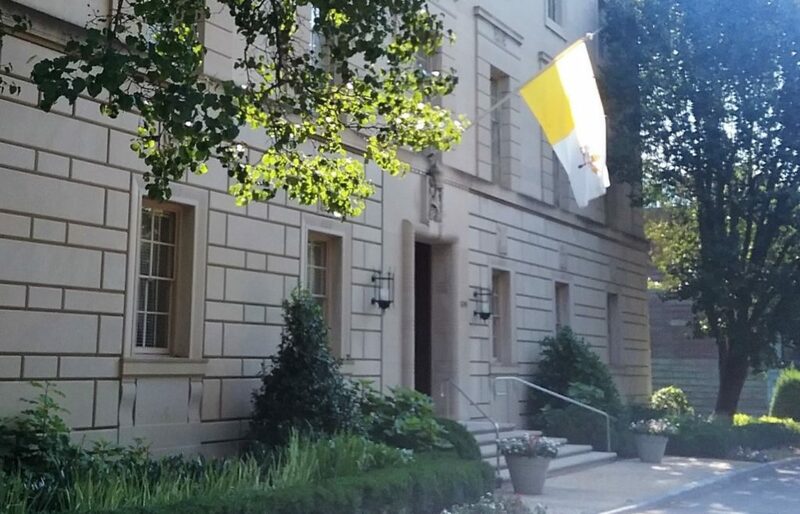 The Washington DC Chapter of the Patrons of the Arts in the Vatican Museums has arranged a private tour of the Apostolic Nunciature of the United States of America. Brother Britt has graciously offered to give our chapter and guests a private tour of the artwork in the Nunciature. Please join us for this very special and unique opportunity! Due to space limitations, we must limit the tour to the first 20 to respond. Patrons and guests are welcome. The tour will take approximately 2 hours. We will meet at the Apostolic Nunciature, located at 3339 Massachusetts Avenue, NW in Washington DC, at 1 pm. Please RSVP to patrons@francklohsen.com or by calling (202) 223-9449 by April 3rd.